Perfect Gift! Due to the light and screen difference, the item's color may be slightly different from the pictures. Color: As Picture Shown. The hands and feet can't move. Power Rangers 1993 Original Bones, Putty, King Sphinx Combo All Boxed! Must See! Used but from a clean and smoke free home. Three original 90s power rangers evil space aliens in box. All figures in very good condition on backing card. Some minor box damage and small tears. One box has a crack on the side of plastic cover (please refer to photos). Please see my other auctions for more power rangers items! Power Rangers Megazord Original Boxed! Good Condition! Used but in very good condition. More photos available on request. Comes with all original accessories and manuals. From a clean and smoke free home. Very good condition with some minor box wear. Please see my other auctions for more original power rangers items! Power Rangers Thunder Megazord Assault Team Original Boxed! Good Condition! Power Rangers Thunder Megazord Original Boxed! Good Condition! Used but very good condition. See photos. Some damage to box corner. Comes with original accessories including mini figs (7 of 8) and crystals (all 8). Used sticker sheet and instructions. From a clean and smoke free home. Please see my other auctions for more original power rangers items to come over the next few days! Power Rangers Titanos Titanus Original Boxed! Great Condition!! Used but in very good condition. Please refer to photos. Shop sticker and some minor wear on box. Figure stickers applied but comes with sheet and instructions plus all accessories. Please see my other auctions for many other original power rangers items! All P P is free! Box Length Width Height（cm）: 16x5x26. Any problem can be solved by communictaion! POWER RANGERS VINTAGE RARE SABAN 1994 WHITE RANGER ACTION FIGURE 35 INCHES TALL . Please see photos for condition. As you can see if is by no means perfect. Funko POP! Acid-Free Protective PVC display case. 1x Funko POP! Funko's POP! Paint work may vary slightly from that pictured. Power rangers diecast legacy morpher. All morphers are in fantastic condition and have only been removed from the packaging to be displayed in a sealed box. Comes complete with all coins etc... No refunds or returns. This is the overseas release of this figure and comes with “Power Rangers Celebrating 20 Years” and “Megazord” stickers on the box. I bought this new. I have opened the box to look at it but I can’t remember if I ever displayed it. It has been boxed up and stored for a number of years. Comes complete with all the plastic packaging and paperwork. Will be sent via recorded and insured delivery. If you have any questions, please ask. Thank you for looking at my listing. MIGHTY MORPHIN POWER RANGERS. WHITE RANGER. 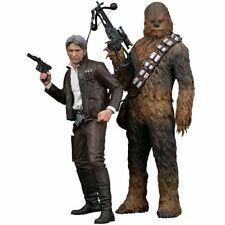 COMPLETE IN ORIGINAL REMOVABLE SUIT AND BELT. ULTRA RARE. 1 Rita Repulsa. Loyal Subjects x5 inc. 3&4 2x Blue Ranger. Funko POP! Funko's POP! DO NOT have the HOT TOPIC sticker on the viewing window as pictured above. Power rangers funko pop of Rita. Green Ranger M216. POWER RANGERS. Mighty Morphin Power Rangers Legacy Falconzord Megazord Bandai - CHEAPEST IN UK! Mighty Morphin Power Rangers Legacy Ninja Megazord - Bandai - CHEAPEST IN UK! Mighty Morphin Power Rangers Legacy Ninja Megazord Bandai. Comes complete with box and accessories. Condition is Used but in good condition only been used for display purposes! Dispatched with Royal Mail 2nd Class. Please look at all the pictures - sold as seen. Please do not hesitate to ask if you have any questions! And check out my other similar items. Made partly with Diecast & partly with plastic.The electronics still work perfectly. BANDAI POWER RANGERS SUPER MEGAFORCE LIGHT SPEED RESCUE RED RANGER FIGURE Very rare! Power Rangers Black Ranger Morphing Exclusive 411. Funko POP! I'm sure this is the spirit of the majority of the users of this site. This is due to issues previously. As a collector I realise the importance of trust and service on e-bay. 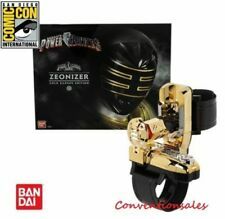 This is the last to be released from Bandai on the Power Rangers line. 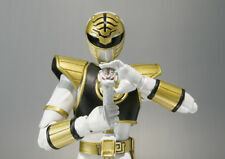 Tamashii Nations re-produce the White Ranger from the Mighty Morphin Power Rangers series! BANDAI POWER RANGERS SUPER MEGAFORCE WILD FORCE RED RANGER FIGURE Very rare! 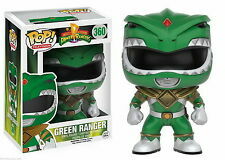 Power Rangers Movie Pop! This excellent Power Rangers Movie POP! Power Rangers is smashing back onto the big screen in March 2017 and a whole new legion of fans are about to be created. In the unlikely event that you receive an item which proves to be faulty we are happy to help. Power Rangers Mighty Morphin Legacy Dragon Dagger-Gold plated-Next Day Delivery! In the original Mighty Morphin Power Rangers series, Tommy Oliver received his Green Ranger Power while under an evil spell from Rita Repulsa. He was saved by the Power Rangers from a life of serving the Evil Empress and joined them to fight on the side of good. Power Rangers Legacy White Tigerzord - RARE. Complete as originally sold, Condition is Used but in good condition, only been used for display purposes. Comes complete with the box and instructions. Grab yourself a huge bargain! Dispatched with Royal Mail 2nd Class. Please look at all the pictures - sold as seen. Please do not hesitate to ask if you have any questions! And check out my other similar items. Tamashii Nations re-produce the White Ranger from the Mighty Morphin Power Rangers series! Set includes the Saba Sword and its detachable sword blade, interchangeable head parts and interchangeable hand parts (2 right, 2 left). Item is mint in box. A few minor scuffs to the outside packaging from storage wear. Item is in excellent condition. Contains both the Green and Power ranger interchangeable case for the communicator. Would make a great gift for Christmas or a perfect addition for a collector. Rare collectible.